One of the first things that really intrigued me as a budding audiophile was the notion that wire made a sonic difference in an audio system. I was just getting used to the idea that separate components, each individually made a difference, never mind the wire that lashed them all together. After some experimentation, it did not take long before I determined that cables make not just a difference, but a major difference in a high-end system. 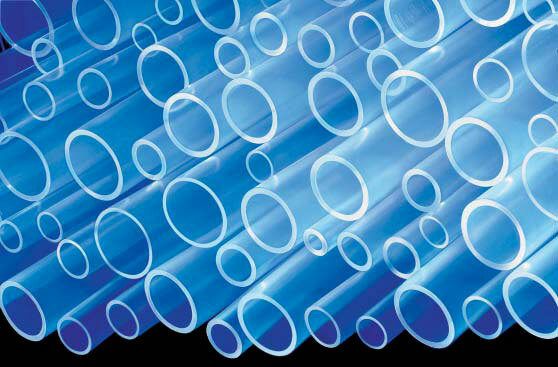 To this day, even after formally reviewing six pretty high profile wire manufacturers’ offerings, not to mention the other three or four I lived with though never formally reviewed, I still get a kick out of trying something new. For the past four years, my references have been the Sunny 1000 and more recently the Transparent Reference MMSS. The Sunny cable comes closer to having no sound of its own, though the Transparent offers a weight and solidity to the presentation that is intriguing. The Skogrand SC Air Markarian 421 as configured as a 10-foot pair costs a mind numbing $9,350. Once I regained my marbles after hearing the price, I realized that was about the same price as the Sunny 1000, and less expensive than the Transparent. 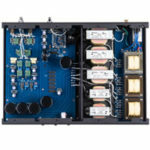 Backing up the price with performance, the inclusion of the Skogrand SC Air Markarian 421 speaker wire was a revelation. After a pretty short burn-in time, gone was the upper mid range/lower treble brightness of the Sunny, gone was the artificial upper bass/lower mid band weight of the Transparent, both replaced by what can only be described as a ”lack” of attribute. The Skogrand 421 cables appear to have no additive sound qualities that I can pin on them. This is a real first in my experience, at least to this degree. Textures from top to bottom are both ripe and exceedingly well defined. Instruments sound at once more organic and far less electronic, even on electric instruments! Listening to electric guitars for instance through the Skogrand, I get a more complex, less congealed and processed sound. Individual notes within a strummed chord come into view, each string with it’s own signature decay. Like the Skogrand 421’s ability to unravel inner detail, the level of focus and ability to unravel complex passages are just outstanding – from the front of the stage all the way back -left to right, top to bottom. Space and its occupying instruments are simply “open” with a kind of limitless sense, un-constrained if you will. Reverb and hall air just bloom for decades. A lack of smearing is another way to look at it. I like the glasses analogy. Imagine you have glasses on. There could be a small smudge on them obscuring detail while the majority of the lense is clear, you may not notice it until you remove the smudge and presto-clearo! Well, the Skogrand 421’s are as close to perfect in this regard as I have heard. They simply have less residue, or distortion obscuring information. Transient response is soooo quick without any zippy- ness. Notes just fly off the instrument. Listening to the background singers on Deacon Blues from Steely Dan Aja, the vocalists pour out the lyrics with just the right amount of dynamic restraint. Here, the intent of the artist comes into greater view and again, helps communicate musically. Dynamically, there appears to be no sense of limit to what the Skogrand 421’s are capable of passing along to the speakers. Here, the Sunny and Transparent sound appreciably less dynamic. 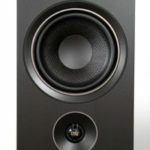 The Skogrand 421 allows music to move at a great pace and when need be, can get very bombastic. Even at modest levels of volume the Skogrand 421 remains alive sounding. Micro-expressions from all types of instruments make for very entertaining listening. The third movement from Holsts’ The Planets (Decca) is fertile ground for all sorts of subtly. Of course, these results speak as much about my contentment with my components as with the cables. I’m guessing your results will have a great deal to do with the surrounding gear. If you hear something distasteful with the Skogrand 421 in place, I can pretty much guarantee it is not the Skogrand 421 cables. Another way to look at it is this may be the speaker wire that your system could grow around for many years to come. Mid way through the review process my Lansche 4.1 developed a short in the internal wiring. Until I could arrange to have them fixed, the big, and I mean big Sunny HSW15 speakers were pressed into action. At 550 pounds per side and set in four pieces, it took four pretty hearty fellows to set them up. Once the sweat had dried, I lashed up the tri-wired Sunny’s utilizing the Skogrand 421 in the mid range and the Sunny’s own 1000 for the bass and top end. I would have loved to hear all Skogrand 421 but that would be asking a great deal from a manufacturer the size of Skogrand. To my surprise, the sound was simply outrageous. I forgot just how dynamic the Sunny speakers could be. The big horn mid range driver simply breaths fire. Huge dynamic shifts coupled to micro dynamic shading, this is sound of the highest order. Smooth as can be yet loaded with the finest microscopic detail the extent one can realize musical discovery is infinite. 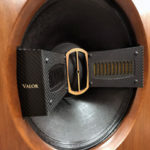 This experience leads me to believe that whatever speaker is presented to the Skogrand 421, it will be met with outstanding, honest performance. I realize this was a fairly brief review. It is just that the Skogrands are so good at what they do, leaving so little to criticize, I feel going on much further would become redundant. 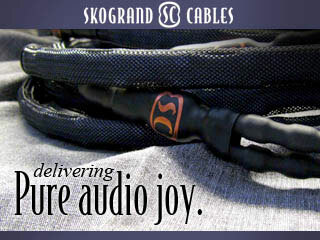 Possessing an undetectable level of the colorations we have grown far too accustomed to in our cables, the addition of the Skogrand 421 will either allow the listener to fall hard for the system they may presently really like, or provide a conduit to future up-grades, knowing that what they are hearing is not being distorted by speaker wire. For the audiophile who has been through the wringer jumping from one brand name wire to the next, the Skogrand 421 cables offer a respite, a soft landing to the crash-and-burn upgrade insanity we all can too well relate. It’s not often a product stumps my ability to call out its imperfections (save the price). As it stands for now, the Skogrand 421 have done just that. 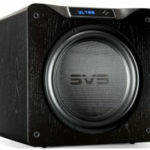 As beautiful as speaker wire can be and built to a very high level of finish just bolsters the cables sonic superiority. The Skogrand AC Air Markarian 421 are a new reference that will hopefully be staying in place for years too come.